The urbanisation of seismically active areas, coupled with the ongoing change in climate patterns, require a shift in the approaches to land/infrastructure instability hazard assessment and risk reduction. This is particularly relevant in seismically active regions where the recurrent damage from landsliding, subsidence and ground deformations can be widespread. Geotechnical investigations and in situ monitoring of land prone to instability are necessarily limited in terms of spatial and temporal coverage and need to be complemented by remote sensing and geophysical surveying. 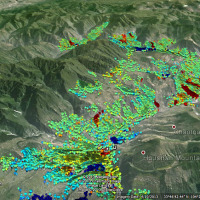 The project aims to promote the employment of complementary, cost-effective approaches (“preventive monitoring” via satellite remote sensing, reconnaissance geophysical surveying) and the integration of space- and ground-based geotechnical information for early detection and assessment of potential land and infrastructure instability hazards in seismically active areas. Preventative estimate of land instability (landslides, subsidence, differential settlements) and infrastructure instability hazards in seismically active areas has obvious practical implications in the field of risk reduction (safety of life and private / collective property protection). The results obtained through the activities carried out within the project will have practical implications in terms of risk prevention. 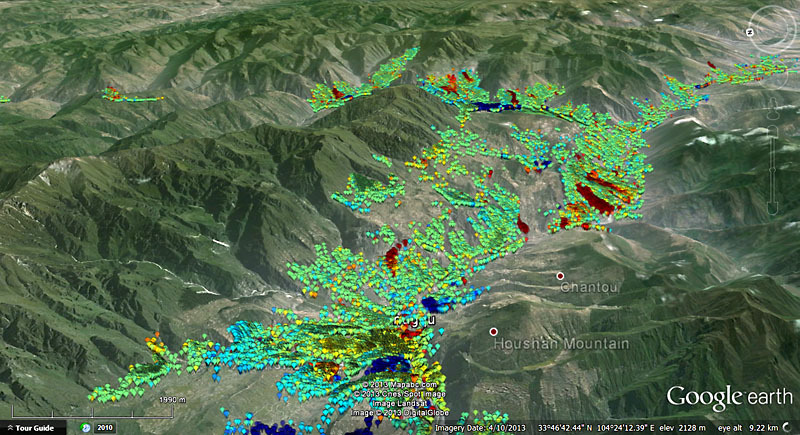 The availability and quality of data represent a critical issue for reliable site-specific land/infrastructure instability hazard assessment. Regular satellite remote sensing, reconnaissance geophysical surveying and long-term geo-hydro-mechanical monitoring will improve our comprehension of instability processes and thus help in hazard assessment. The in situ monitoring efforts will also provide much needed ground truth data to be integrated with space-derived information.